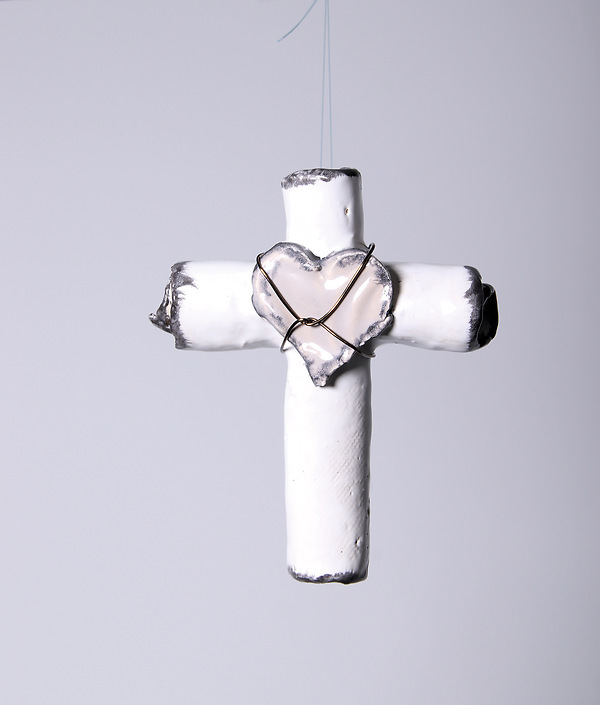 Handmade Small Rolled Ceramic Cross is adorned with a ceramic heart with a wire knotted in the center. They are painted and glazed with a food safe lead free glaze. Hand washing is recommended.